Hearing is Wednesday, March 11 in Room 2E of the Legislative Office Building (LOB), 300 Capitol Avenue, Hartford. Two domestic violence bills are on the agenda as well as a safe storage bill. The first two bills prohibit subjects of domestic violence temporary restraining orders from possessing firearms. The third bill tightens safe storage requirements to prohibit access to a gun owner’s firearms. We are strongly in favor of these bills; they are at the top of the legislative priorities of CT Against Gun Violence. Sign up if you want to testify at the hearing. Sign up begins at 8:30 am and goes until 10:00 am in room 2500 of the LOB. Order of speaking will be determined by a lottery number that you will pick at signup. We can sign you up in advance and select a lottery number if you let us know that you will be speaking. 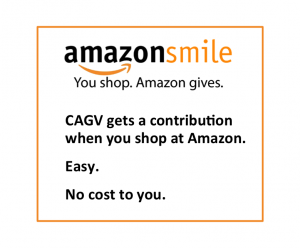 Just send an email to ron@cagv.org. The hearing starts at 10:30 am. The first hour is for lawmakers and State Agencies to present testimony. After that will be members of the public. The length of the hearing will depend on the number of people signing up to testify. Each speaker gets three minutes. Members of the committee may ask questions of the speakers after the three minutes. See below for talking points and subject matter on the bills to help you prepare testimony. Please remember to submit online testimony if you can’t be there. If you are planning to be there, you should still submit your testimony online. Many Committee members prefer to view electronic testimony. You can submit your testimony online at JUDtestimony@cga.ct.gov. Click here to find more general information on what to expect at a Public Hearing. If you arrive before 10:00 am and you want to have members of the committee have a copy of your testimony in front of them at the hearing, you must provide 50 copies of your testimony. You can leave your copies at Room 2500, the same room as signup. We will all meet up in the atrium of the LOB (just inside after you come into the LOB through the revolving door and pass through security). We will hand out green lapel ribbons to identify us. If you don’t plan to testify or if your time is limited, it is still very helpful if you can come, even if it’s only for an hour or two. If we want lawmakers to take courageous stands, we must make our voices heard. Appearing and testifying at public hearings is a visible and effective tactic. The media takes notice. It is critically important that we get as many people to the hearing as possible to demonstrate the strength of our movement. The CT Coalition Against Domestic Violence has prepared excellent talking points on the two Domestic Violence bills: SB650 and HB 6848. Click here for talking points on both bills. Our CAGV Fact Sheet on the Safe Storage bill is here. A fourth section has been added by the Judiciary Committee to the language of our safe storage bill (HB6962). This is actually a clarification of process on our Gun Seizure bill that was passed a dozen or so years ago. You do not have to comment on this section if you are not comfortable with it, although it is a modification that we agree with. The typical heading for your testimony should list the bill numbers for which you are submitting testimony and whether you support or oppose those bills. For example: Testimony to the Judiciary Committee in support of Proposed Senate Bill No. 650, House Bill No. 6848, and House Bill No. 6962. The format is not an essential requirement but it is important for members to know your position on which bill or bills without reading through the entire testimony. Also, the online testimony link lists the bills for which you are submitting testimony at their testimony page: see here You’ll notice that not everyone follows this guideline, but it does help. Finally, I am very pleased with the number of people who have signed up thus far and I know there are a number of you who are working on bringing more friends and associates. One thing I am not entirely sure of is how many of you are planning to testify. If you haven’t already, please let me know if you are planning to speak at the hearing and we will sign you up. So if you want a seat in the hearing room, it’s best to be there by 10:00. Now that a security system has had to be installed, access to the building has been slowed. If there is a large turnout (probably) an overflow room may be set up where the proceedings can be viewed on monitors. Please continue to get more people to come! Please sign up here if you can (or may be able to) join us. Also let me know by email if you plan to testify by email at ron@cagv.org. The Judiciary Committee will hold a public hearing on Wednesday, March 11, 2015 at 10:30 A.M. in Room 2E of the LOB. Public speaker order will be determined by a lottery system. Lottery numbers will be drawn from 8:30 A.M. to 10:00 A.M. in Room 2500 of the LOB. Speakers arriving after the completion of the lottery will have their names placed at the end of the speaker list. Please submit 50 copies of written testimony to Committee staff any day prior to the hearing but no later than 10:00 A.M. in Room 2500 of the LOB. Written testimony submitted by a person(s) or organization(s) which exceeds five (5) single-sided pages per bill or resolution will only be posted on the Judiciary Committee’s website at the discretion of the Judiciary Committee Chairs. Testimony received after the designated time may not be distributed until after the hearing. Please email written testimony in Word or PDF format to JUDtestimony@cga.ct.gov. Testimony should clearly state testifier name and related Bills. The Committee requests that testimony be limited to matters related to the items on the Agenda. The first hour of the hearing is reserved for Legislators, Constitutional Officers, State Agency Heads and Chief Elected Municipal Officials. Speakers will be limited to three minutes of testimony.The Committee encourages witnesses to submit a written statement and to condense oral testimony to a summary of that statement. Unofficial sign-up sheets have no standing with the Committee. All public hearing testimony, written and spoken, is public information. As such, it may be made available on the Judiciary Committee’s website and indexed by internet search engines.